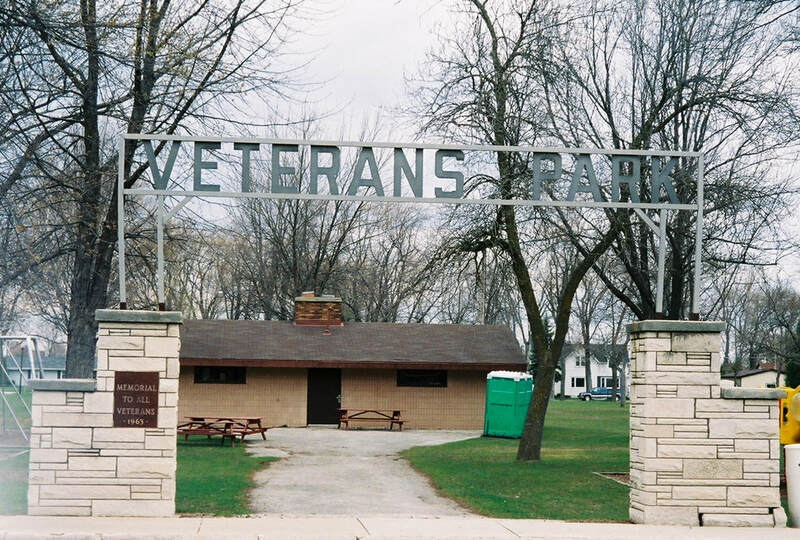 The bandstand was built in 1941, a year after Veterans Park was developed. As reported by the Ootsburg Historical Society, it was first used on a 4th of July celebration. It may have been funded by the Works Progress Administration which was a common source of funding at this time in the state. The bandstand has been used not only for the 4th of July celebrations, but also for band concerts through the years. It has been remembered that it was used for high school Homecoming programs too. Currently it is not used and concerts are now held at the newer bandshell, also located within the park.